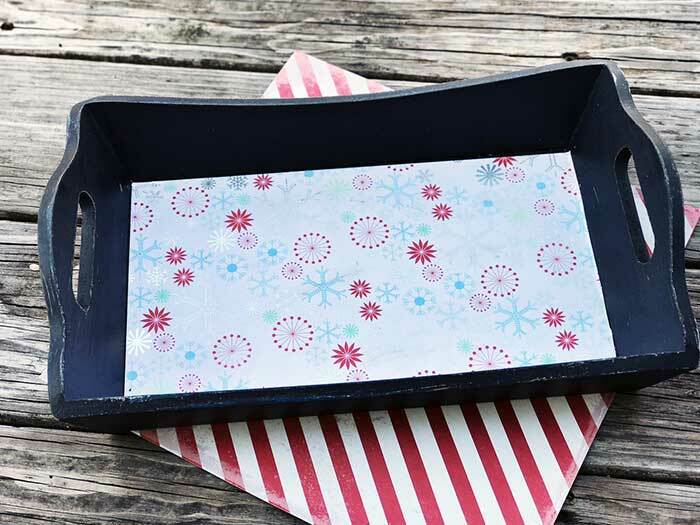 This DIY serving tray is perfect for Christmas cookies & milk. Makes a great DIY gift too! One of my favorite Christmas Eve traditions is setting out cookies and milk for Santa (and of course, eating those Christmas cookies after my kids are fast asleep). 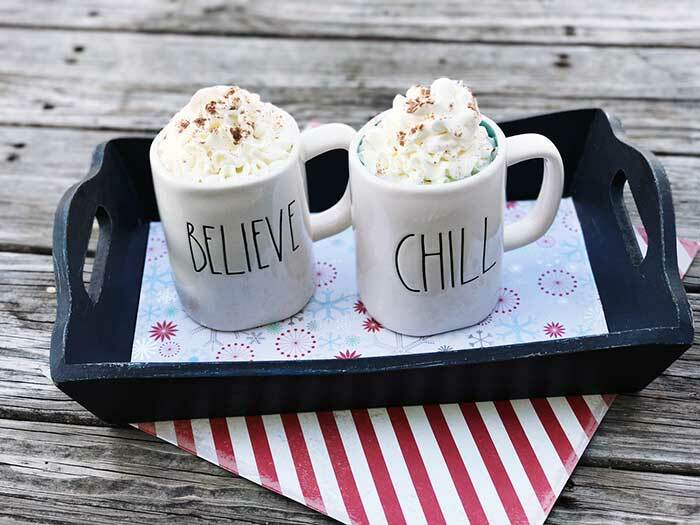 I want to have something special to serve Santa's treat on and this DIY serving tray is the perfect solution. 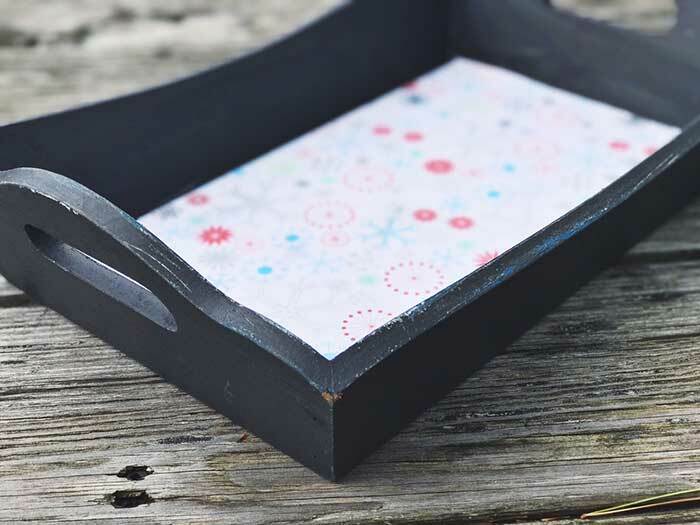 It's a super easy upcycled project that you can make with just a simple tray and a few craft materials. 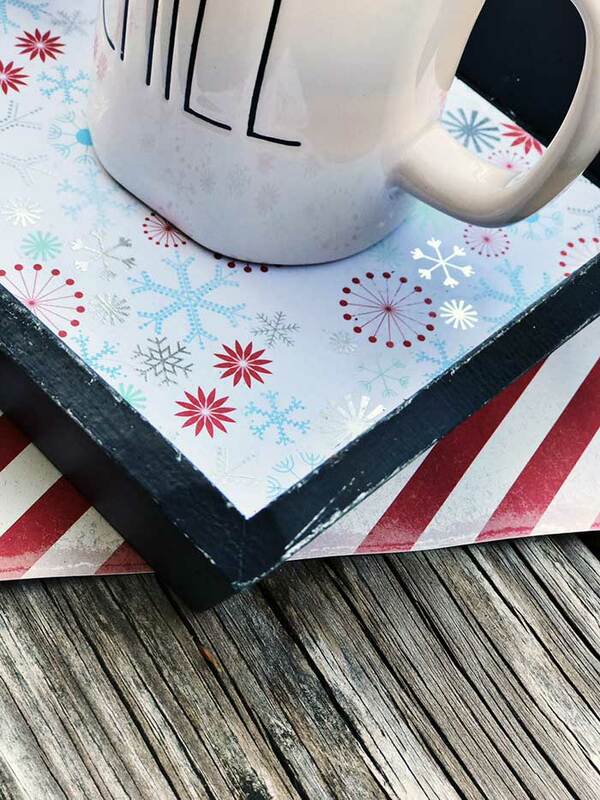 You can customize it to fit your style and decor, and it also makes a perfect DIY gift for anyone on your list. 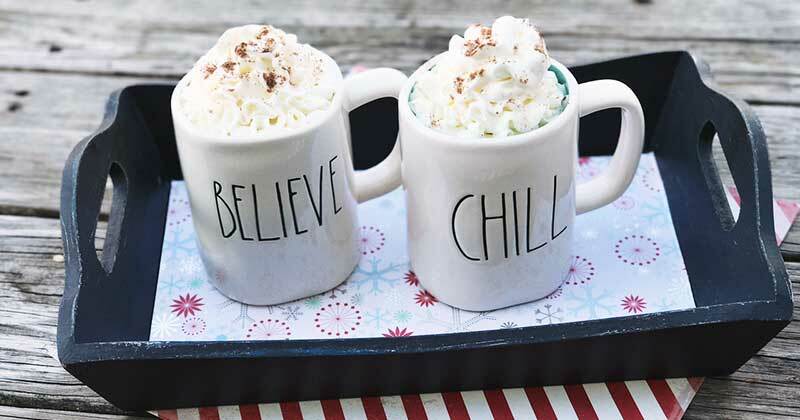 Ready to serve all your holiday treats with style? Here's what you need to do. 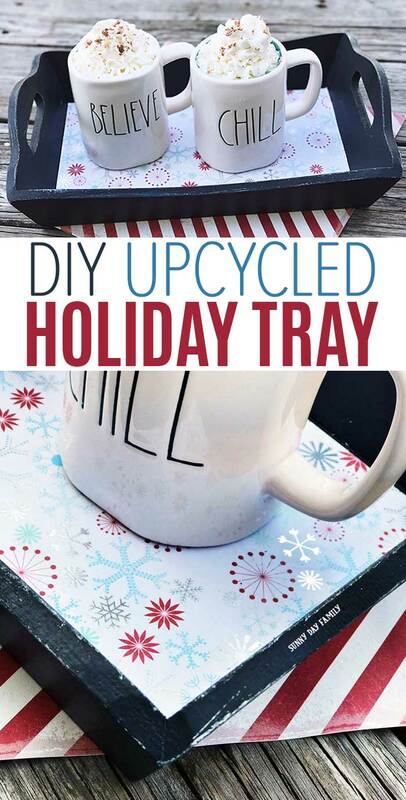 This holiday serving tray is easy to make with just a few supplies. 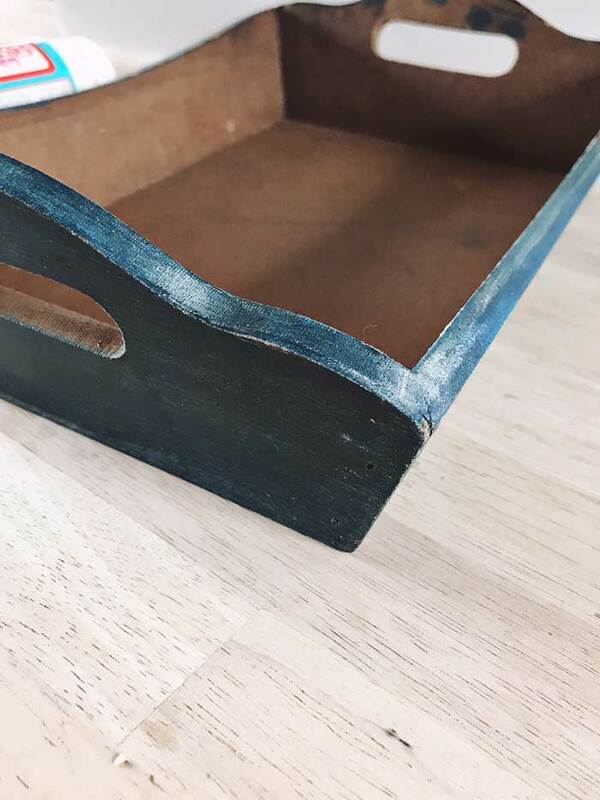 Start with a simple serving tray - you can likely find one for $1-2 at a thrift store or garage sale (you may even have an old one hidden away somewhere!). If you're making these for gifts, you can find a great deal on bulk unfinished trays here. 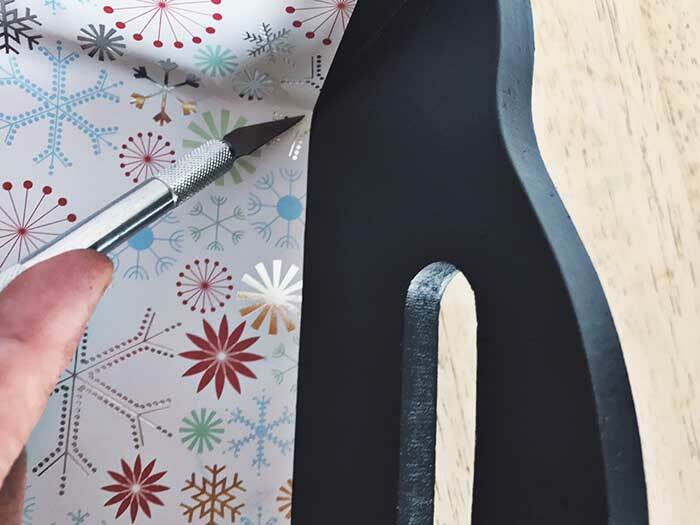 Holiday Scrapbook Paper - here's where you can really customize your tray. Choose the design that works best for your style! 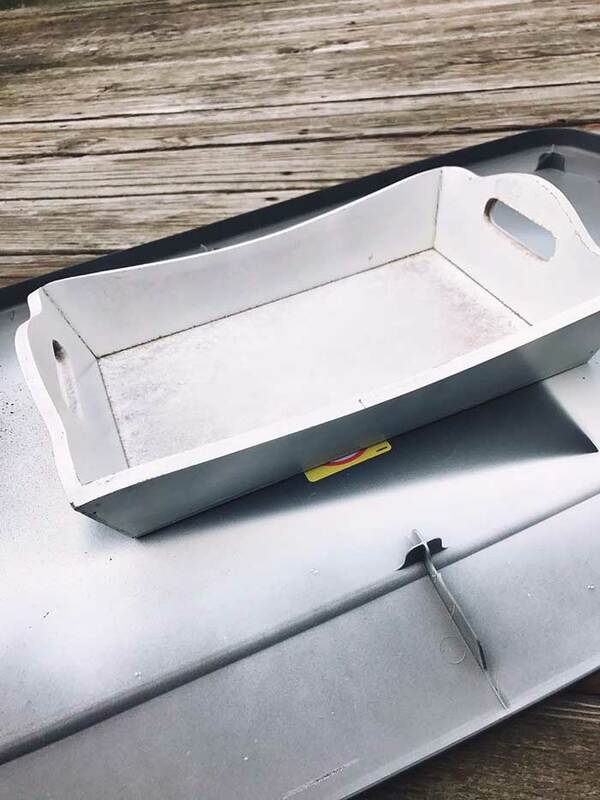 Start by spray painting a white base coat to prime the tray. You'll also want to have a white layer underneath so that you can give the tray a weathered effect later. Allow to dry. 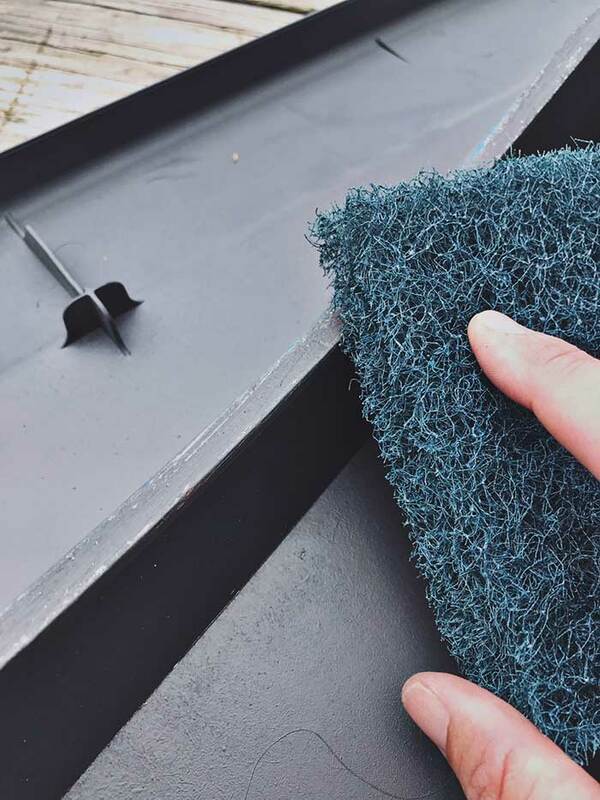 Spray paint a coat of black paint and allow to dry. Use the sandpaper to sand the edges so that a little of the white paint peeks through to get the weathered look. You can do as little or as much of this as you like to your taste. Measure the inside of the tray and cut the scrapbook paper to fit. Then place the paper inside the tray and use the exacto knife to cut it more precisely around the edges as needed. 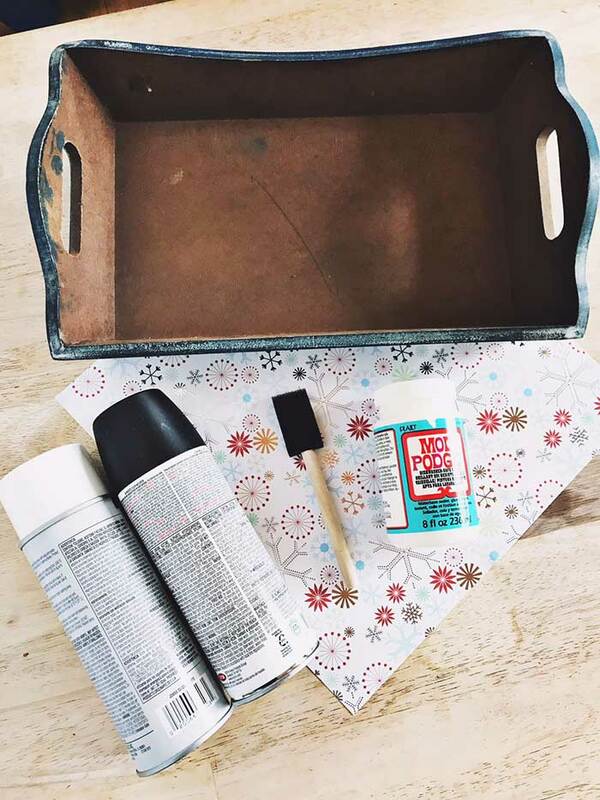 Apply Mod Podge to bottom of tray and place paper inside. Let dry. 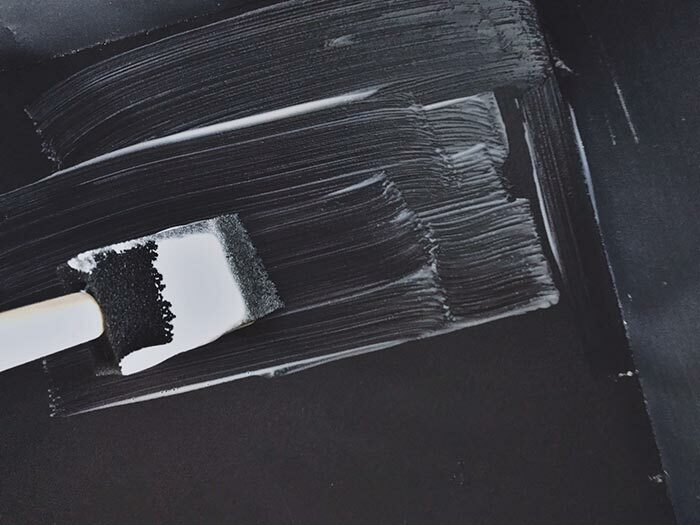 Place another coat over the top of the paper. Allow to dry completely. That's it! 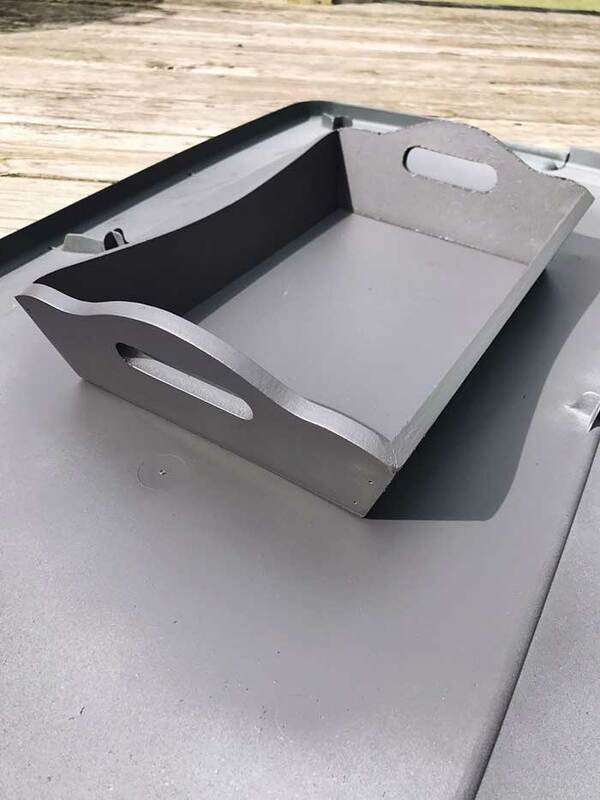 Your new DIY serving tray is ready to use. You can keep it for yourself - it's perfect to hold your popcorn and treats for holiday movie nights, for cookies and milk for Santa, or for cocktails at your holiday parties. 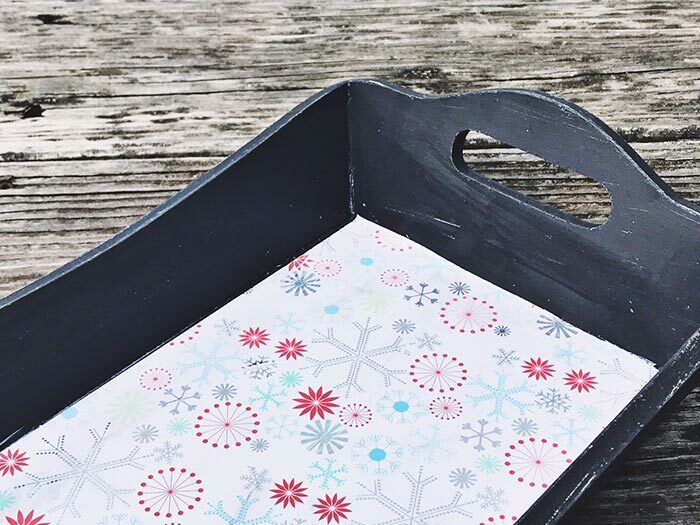 This tray also makes the perfect gift, especially when paired with my Cookies and Cocoa DIY gift jar (which includes free printable envelopes for gift giving too). Want the perfect Christmas cookie to serve on your new tray? 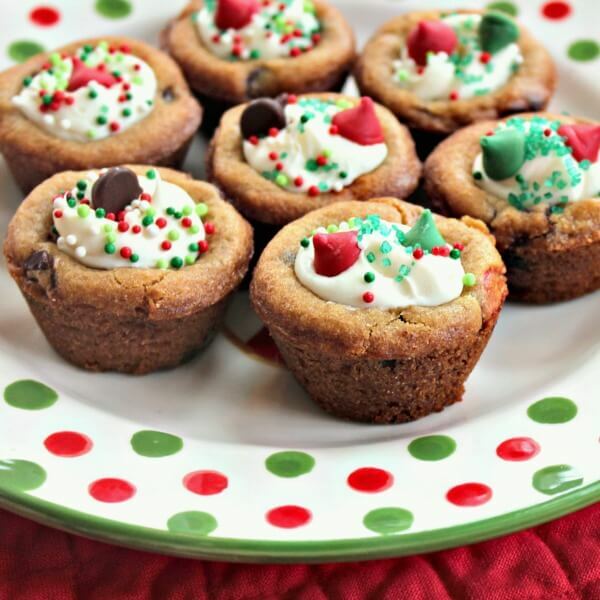 Try my Frosted Holiday Cookie Cups! With just a single layer of glue, how well does the base hold up to repeated cleaning? I'm trying to figure out what clear finish I can apply to keep the paper from getting damaged. Thanks.